CLENCH, JOSEPH BRANT, Indian Department official, militia officer, justice of the peace, and office holder; b. c. February 1790, probably in Niagara (Niagara-on-the-Lake, Ont. ), eldest child of Ralfe Clench* and Elizabeth Johnson, granddaughter of Sir William Johnson*; m. before June 1816 Esther Serena Joseph Leon, and they had at least five sons and three daughters; d. 22 Feb. 1857 in London, Upper Canada. Early in 1811 Joseph Brant Clench, who lived in Niagara Township, took the oath of allegiance and successfully petitioned for a 200-acre grant as the son of a loyalist. In the tradition of the maternal side of his family, on 25 Oct. 1813 he entered the Indian Department, as a clerk in charge of Indian stores at Fort George (Niagara-on-the-Lake). During the War of 1812 he conducted himself with “bravery” and “zeal” in action on the Niagara frontier, on the Grand River, and at Amherstburg; his “military talent” led to his employment on secret service by Major-General John Vincent*, Lieutenant-Colonel Christopher Myers, and Major John Bachevoye Glegg. 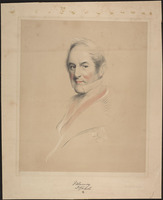 In 1816 Lieutenant-Colonel John Harvey tried unsuccessfully to have Clench appointed to the vacant post of superintendent of Indian affairs at Amherstburg, but, through the efforts of Lieutenant Governor Francis Gore and Clench’s great-uncles Sir John Johnson* and Colonel William Claus*, the position went instead to John Askin Jr. On 24 Aug. 1817 Clench was reduced to “writingout” clerk at Fort George, responsibility for Indian stores having been transferred to the office of the storekeeper general. In addition to this position within the Indian Department, Clench, like his father, played an active role in local government. By 1818 he had been appointed district court clerk for Niagara and in 1823 he received his first commission as a magistrate. On several occasions he was unanimously elected chairman of the Court of Quarter Sessions for the Niagara District. During the 1820s, though officially a clerk, Clench served the Indian Department as an interpreter and also performed most of the duties of Alexander McDonell, the assistant secretary at Fort George. In these capacities he visited Kingston, Richmond, Belleville, and the Trent River in 1824 and again in 1825. 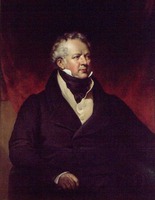 During the winter of 1825–26 Clench was bitterly disappointed when, despite McDonell’s assurances, he did not succeed him following the assistant secretary’s transfer to York (Toronto). However, on the strength of his service within the department and his need to support and educate his ever-growing family, in January 1826 Clench successfully petitioned Henry Charles Darling, the deputy superintendent general of Indian affairs in the Canadas, to have his stipend increased to 4s. 8d. a day. 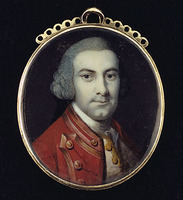 As well, he was employed for a time at Amherstburg on what he described as “very important duty” under the special orders of Lieutenant Governor Sir Peregrine Maitland. 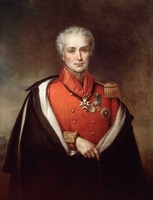 In 1828–29 he attempted, with varying results, to secure additional positions. 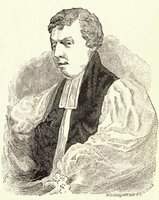 A member of the Church of England, he applied to Charles James Stewart*, bishop of Quebec, to be made secretary to the Upper Canada Clergy Corporation, but in November 1828 he learned that George Herchmer Markland* had already been appointed to the office. 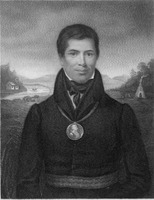 Clench was further disappointed that year when his presumed kinsman, John Brant [Tekarihogen*], was appointed superintendent of the Six Nations rather than himself. By 1829, however, Clench had been transferred to York as a clerk and was receiving £1 sterling a day. Early in 1829 he attained the superintendency of the Mohawks and the Mississaugas of the Bay of Quinte and Rice Lake, at a salary of £185 14s. 4d. a year. In April 1830, as a result of the departmental reorganization recommended by Lieutenant Governor Sir John Colborne* the previous year, Clench was named superintendent of Indian affairs in Delaware and Caradoc townships in Middlesex County. The new duties of superintendents included bringing the Indians together in villages, and Clench was directed to “select an eligible spot for a village” for “the Chippewas and Munceys, now residing on the River Thames.” The location he selected was either the existing settlement of Muncey Mission or the site of Upper Muncey, a short distance upstream, in Caradoc. 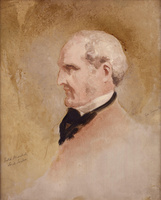 In 1833, while living in Caradoc, Clench was appointed a magistrate for the London District and he later served as chairman of the district’s Court of Quarter Sessions. By November 1834 he had become lieutenant-colonel of the 5th Regiment of Middlesex militia. In the aftermath of the uprising led by Charles Duncombe* during December 1837, Clench was foreman of the grand jury which found bills leading to the indictment of “a great number of Persons Charged with High Treason and misprison of treason.” But, so convinced was he that a greater crisis was impending – he believed that rebels planned to hang him and murder the Indians under his charge – that he wrote late in June 1838 to Samuel Peters Jarvis, chief superintendent of Indian affairs for Upper Canada, begging that he and the Indians be armed so “that we may die like Men!” On 6 December, two days after the so-called battle of Windsor [see John Prince*], Clench was directed by Lieutenant-Colonel John Maitland of the 32nd Foot “to cause 150 of the most active Indians to be in readiness to move” with that regiment to the west. He was further informed that “one hundred Stand of Arms will be taken from here to equip such of them as may not at present be provided with efficient Arms.” On the 8th he was appointed to the court martial which, under Judge Advocate Henry Sherwood, tried some 44 prisoners, including Joshua Gwillen Doan* and Elijah Crocker Woodman*, between 27 December and 19 January. 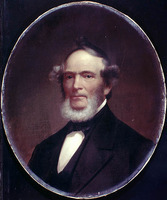 As a result of the reorganization begun within the Indian Department in 1844 [see Sir James Macaulay Higginson*], Clench was placed in charge of the entire Western superintendency, comprising the reservations within the London and Western districts. At the same time he was named visiting superintendent of the Grand River superintendency, while David Thorburn became superintendent. 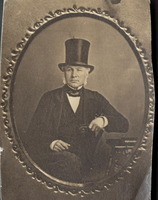 In 1845, by which time Clench had moved to the town of London, he was also appointed agent for conducting the sale of Indian lands in the Western and London districts. Though he diligently sought to safeguard and promote the interests of the Indians, he generally believed that he knew what was best for the various bands under his charge, regardless of their views. In the spring of 1847, when the Credit River Mississaugas were preparing to settle on land donated by the Six Nations on the Grand River, he cautioned the Reverend Peter Jones that the young people at the Grand were the “next thing to worthless” and warned him to ignore the demands of the poor there. In London the Clench family was not part of the inner circle, despite invitations to various military and civilian balls and dinners. Clench, however, did enjoy some prominence and in March 1847 he was called upon by John Duggan, a Toronto lawyer, to use his support and influence to help him win a seat in a London by-election. Between 1839 and about 1848 Clench served as inspector of shop, still, and tavern licences for the London District. It was probably his knowledge of the adverse effects of alcohol that led him, as inspector, to draw up in about 1842 a memorandum advocating tighter controls and increased taxes on its sale. He appears to have been president of the temperance society in London in 1852. The following year his daughter Victorine Leon married Francis Evans Cornish*, a future mayor of the city. But, at the height of his career, things began to sour for Clench. The late 1840s had seen the breakup of the marriage of his daughter Caroline and her committal to an insane asylum. 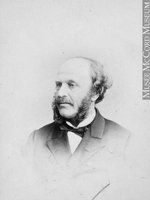 His wife, a native of Germany and probably the first Jewess to settle in the London District, was beginning to have increasingly expensive tastes in clothes and furnishings, and their son Leon Moses was, by 1852, known by Clench to be appropriating, for himself and his mother, monies entrusted to Clench from the sale of Indian lands. In the early 1850s, and evidently before that, Clench’s “want of success and apparent inertness” in conducting his duties as Indian land agent were censured by successive superintendents general Thomas Edmund Campbell* and Robert Bruce. Early in September 1854 Superintendent General Laurence Oliphant directed Thomas Worthington and C. E. Anderson to investigate the “seeming irregularities” in Clench’s capacity as agent and his “refusal to afford any explanation thereof.” A month later they recommended that he be suspended. Clench’s “state of health” was one “almost amounting to imbecility” and he was confined to bed. Monies sent through the mails to his house were not reaching his hands and might never have been known to him. Accordingly, he was removed from office on 9 October, and in December departmental policy was revised, requiring that all payments to the department be deposited in a chartered bank. At the court of inquisition held in London in August 1855, it was learned that Clench’s wife and two of his sons, Leon and Holcroft, had purchased properties with monies belonging to the Indian Department. It was subsequently estimated that, with interest, some £9,000 had been embezzled. Of this, £5,950 had been recovered and £1,207 15s. 6d. had been secured in mortgages and in cash. During the investigation, which had led to the tarnishing of his good name, Clench himself refused to name his sons and wife as the persons directly responsible for the defalcation. The strain of the disclosure of the embezzlement led to alienation between him and his family and to further deterioration of his health. Possibly as a result of the strain, Clench resigned as lieutenant-colonel of the 6th Battalion of Middlesex militia in December 1855. Leaving London, he retired to Caradoc Township. His death in 1857, from an apoplectic fit, occurred while he was temporarily staying at the Western Hotel in London. The London Free Press and Daily Western Advertiser in its obituary described him as “an upright, good, and just man” and, while viewing him as “the victim of others villany,” saw a tragic flaw in “his want of firmness and discretion.” At the time of his death he still owed the Indian Department more than £6,950. PAC, RG 1, L3, 98: C10/16; 99: C11/133, 150; RG 8, I (C ser. ), 266, 268, 270; RG 10, B8, 802; CI, 2, vols.446–47, 570; 10017; RG 68, General index, 1651–1841: 451, 477. Private arch., F. H. Armstrong (London, Ont. ), Elida Clench to Armstrong, 19 Feb. 1969, containing genealogical information. UWOL, Regional Coll., Middlesex County, Ont., Chancery Court records, 1838–1912, cases, 1859, Gibson, E. v. Clench, L. M., doc.3. U.C., House of Assembly, App. to the journal, 1839–40: 1, pt.ii: 143–44. London Free Press and Daily Western Advertiser, 24 Feb. 1857. Canadian biog. dict., 1: 589–90. The roll of the regiments (the Sedentary Militia), comp. H. M. Jackson (n.p., 1960), 37. Elizabeth Graham, Medicine man to missionary: missionaries as agents of change among the Indians of southern Ontario, 1784–1867 (Toronto, 1975). Hist. of Middlesex, 20, 74, 151, 269. Daniel J. Brock, “CLENCH, JOSEPH BRANT,” in Dictionary of Canadian Biography, vol. 8, University of Toronto/Université Laval, 2003–, accessed April 24, 2019, http://www.biographi.ca/en/bio/clench_joseph_brant_8E.html.